Basically, I have adobe premiere pro and a terrible computer. Well, not necessarily terrible but the video card is not up to par, and at the moment I can't upgrade for another couple of months. I know about Adobe elements, which I've heard is a scaled down version of PP. I've also read about some free ones like filmora. Now, I have no problem paying for software, hence the monthly subscription, I just need something to edit traditional cinema (narrative shorts and drama). I might scale down to premiere elements if itll be better on my video card but if there's an even less system intense program, please let me know. The thing right now is I cant edit anything without the timeline being choppy and stuttery as soon as I apply a single LUT or adjust the blacks. Lightworks isn't too demanding in it's computer requirements, the internal proxy editing helps with the lower powered machines. It comes from a background of narrative film making. how about editing with internal proxies or alternatively making separate offline material versions with burn in LUT and even some grading if you want? I personally chose to switch from Premiere last year to Magix Vegas for almost the exact opposite reason. If you aren't running an Intel/nVidia rig, the optimization for premiere is terrible. I prefer Ryzen processors because of the sheer "bang for your buck" difference between them and the Intel offering. That said, Premiere runs poorly on AMD so I made the switch to Vegas which has better optimization for my hardware. I don't really recommend Magix Vegas because it doesn't have the same codec support that Premiere, Avid or Resolve has. That said, I do recommend at least installing and testing Avid on your system as it is similar in price to premiere (if I'm not mistaken). Resolve is a bit resource heavy, if I'm not mistaken so that likely won't be a good choice to switch. If you don't need raw support, Vegas may work for you (as it does for me). As Aapo mentioned, it might be best to just try working with proxies if you don't already. another benefit of doing intermediate offline edit versions is that you can apply burn in timecodes and bars if needed. Thanks for all the answers, will look into Lightworks and the other suggested software. Also been reading a lot about people using proxies to edit. I just recently started paying attention to compression sizes and file conversions. To specify, I don't need support for 4k or any other super high resolution files because 2k or a very good 1080p is more pleasing to my eyes. 4k and RAW would be nice to have but I probably wouldn't use them. Would DEFINITELY brag though. Does using proxies require more storage capacity? And would an upgrade from a 1tb HDD to a high write 1tb SSD improve speeds? To my understanding you can't change the graphics card In a laptop computer, which stinks. Having a new ssd may enhance your editing some amount so you could give it a try. Using proxies will require more total storage than editing from originals because doing the extra versions but the beauty of doing offline editing is that you dont need to keep the originals around AT ALL when editing and the originals can be stored elsewhere in other hdds if needed. The editor does not even need to see the originals in any part of the process which is quite often the case in the productions I work in. Offlines in, xml and playout out and the picture post handles the originals. One can customise the offline codecs based on the program used and the edit computer specs so that one can always edit flawlessly no matter what type of incompatible 20k high speed raw the source material happened to be. One can just do the offlines to for example normal fullhd and for example 300 times smaller file size than the originals. Lut and color correction already applied. Online takes more time of course but that is small disadvantage compared to having the huge benefits in editing. I have 1tb of storage and another 2 in the form of external hard drives so storage space isnt a problem. you mean magic lantern raw or still sequences or h264? 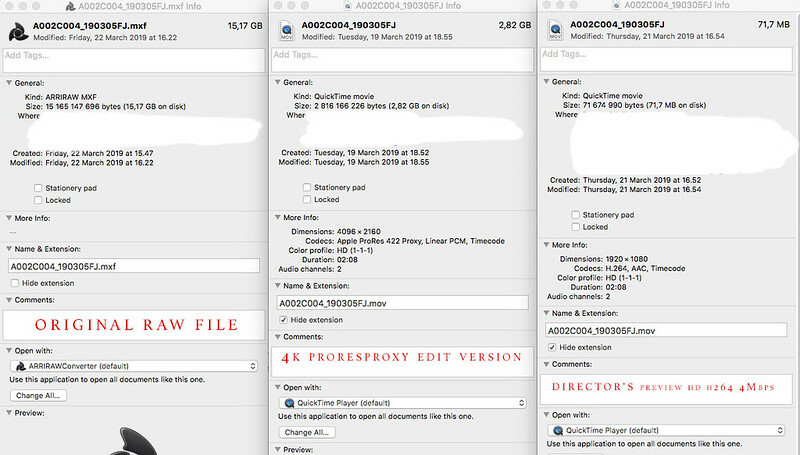 if having relatively small size files then the internal edit proxies would do if you edit with the same computer. Sadly there is no magic. You need a good GPU, SSD boot drive, 32gb of memory minimal and some sort of high speed storage device to make Premiere work. Even if you're CPU is on the iffy side, if you get the other things dialed, it will work. This is the same for all modern editing programs, you can't get around it by switching programs. Adobe Elements is just as taxing on the system as CC. Okay, thanks everyone for the answers. I was going to buy a Fujifilm x-t20 or a Sony a6000 for my new cam but now I see that Money would be better spent on a desktop that I can build up. Yeah, 12 GB of RAM here 😂 I'll start looking for more power, probably gonna buy a different GPU and some crucial SSDs to put in a desktop with a decent processor and a meh GPU. I can also cannibalize my HDD from my laptop to bulk up the storage. Which GPU have you currently got? I can also record Mraw 10m 3888× 2592 and Sraw 4.5m 2592 ×1728. When I open the files they're .MOV files, no conversion, straight from the SD to the computer. Would using the other more compressed formats help or would I face a serious drop in image quality? How about Canon cameras? I hear DNXHD is good for editing, obviously I need a new computer but is that the same for all cameras or just Sony and Fujifilm? I also hear prores isnt very great for windows. Nearly all of the consumer grade cameras shoot in .h264 or .h265 depending on how new they are. The normal variety of these codec's are long GOP compression (you can google this to learn more) and don't have "frames" per say. The way they work is, they capture one frame and only store the differences of that frame for the next X amount of consecutive frames. The X variable is a wide range from 8 to even 40 in some cases, depending on how much motion is in the scene. The little processor in the camera is chewing on this encode in order to make the files small. So the editing software has to pre-read the entire MPEG file into memory extrapolate frames and somehow make an edit. It's very challenging for the software AND hardware to do so. Most people who shoot with these .h264/.h265 cameras make proxy files inside Premiere which are DNX. This process works great because when you're done, you can throw the whole mess into DaVinci and grade from the original files, not the transcodes, which can bake in the look if you aren't careful. I don't shoot with cameras that aren't iframe codec's like DNX, Pro Res, Cinema DNG, Red Code, Arri Code, JPEG2000, etc. These codec's exist to deliver higher quality in post production, albeit with an associated cost. You still need a decent computer to work with these codec's and the cameras that shoot these codec's are more expensive of course. www.bhphotovideo.com has a great "tech" page for everything they sell and if you wanna know what codec a certain camera shoots, you can simply go to their website, find the camera, click technical and you can see the codec's. Nearly all of them will be .h264 or MPEG4, which are basically the same concept, tho different implementations.